Newks Menu is an America based fast casual café chain. The café chain operates over 100 restaurants in the 13 states of the country. Newk’s is a young franchise which was started just over a decade ago. The food chain is headquartered in Jackson Mississippi. Newk’s Eatery is famous for their made from scratch gourmet which includes various American classic dishes, sandwiches, California style pizzas, salads, soups, and various beverages. The food chain makes a strong culinary focus on their products to be made from scratch with the high quality and fresh ingredients from the market. All of the food items are made to order and served fresh to customers daily. The restaurants of Newk’s have open kitchen and large round tables with complimentary gourmet condiments, toppings, and breadsticks. Newk’s Eatery is a growing food chain which serves the customers with gourmet dishes and provides a unique and elegant dining experience. Newk also offers the availability to order the food online. The website of Newk’s Eatery also offers the nutritional information and nutritional calculator to help the customers stay on their diet. The site also provides the people with an allergen calculator for the people with allergies. Newk’s take care of their customers in every way and tries to provide them with a great dining experience. The company employees about 5000 people on their staff. The restaurant chain gained about $141 million as a whole in the year 2014. Below are the latest “Newks Menu“ Prices. NEWK’S CLUB SANDWICH: it is a sandwich where the famous French Parisian bread is filled with hand-sliced smoked ham and oven roasted turkey along with aged cheddar cheese, Ammerlander Swiss cheese, thick cut bacon, romaine lettuce, and tomatoes. The sandwich is topped with mayo and honey mustard which is made from scratch at the restaurant itself. SIX CHEESE MAC N CHEESE: This special mac n cheese is made with four most exotic kinds of cheese, the Asiago cheese, the Vermont cheese, the Parmesan cheese and the Ammerlander Swiss cheese which are folded into the elbow pasta. The whole pasta is topped with yellow cheddar cheese and baked to a golden brown. An additional sixth cheese, Pimiento cheese, is added to provide the extra creamy kick. The whole pasta is topped with crumbled bacon. SPICY SICILIAN PIZZA: This is a classic Italian pizza which is made with a pile of hot capicola, spicy salami and pepperoni. The pizza is topped with red pepper flakes on a crust brushed with house-made chili oil. This pizza is a hot treat for the spice lovers. DOZEN LAYER PRALINE CAKE: This is cake which is made in 12 layers of spiced cinnamon and an icing of melted brown butter which is hand mixed with brown sugar and cream, pecan and real vanilla. The menu of the Newk’s Eatery provide the customers with a lot of options. Newks menu is very attractive which provides items such as, Quinoa salads with kale, crawfish macaroni and cheese, ahi tuna salad, and coconut cake. The restaurant chain offers a huge variety of menu items for every type of diet. All the ingredients used in making the food items are hand-picked and are of great quality. The end product served by the Newk’s is delicious as well as of great quality. The chefs at the food chain are advised to cook all the meals according to the order and serve the customers fresh and hot. Newk’s Eatery offers the customers with great food at very reasonable and affordable prices. The Cobb salad is priced for $9 and the roasted beef sandwich is priced for $8. At Newk’s you don’t have to worry about your pockets while ordering the food. In about $10 to $15 you can get delicious food which is able to satisfy your appetite. The food chain offers a simple bowl of chicken noodle soup for $7. Even the kid’s meals do not exceed the $6 price. This is a place where you can go with your family and get everyone delicious meals on a budget of less than $50. The restaurants of Newk’s Eatery provides a preppy and clean environment. The workers try to maintain a hygienic place by cleaning every table and counters after a certain time period. Moreover, the staff is very gentle and friendly and tries to provide a comfortable environment for the customers. The service timing is also fast for a place which is always busy. In the rush hours, you can get your meal in around 12-15 minutes. The staff and workers try to maintain the order line up to be as low as it can by delivering the food to the tables rapidly. The restaurant chain is not the best out there but still, with the Newks Menu prices and the taste of the food, it is still in the race and is trying to expand itself even further. Newk’s Eatery is a fast casual dining place with a sober and elegant American menu. 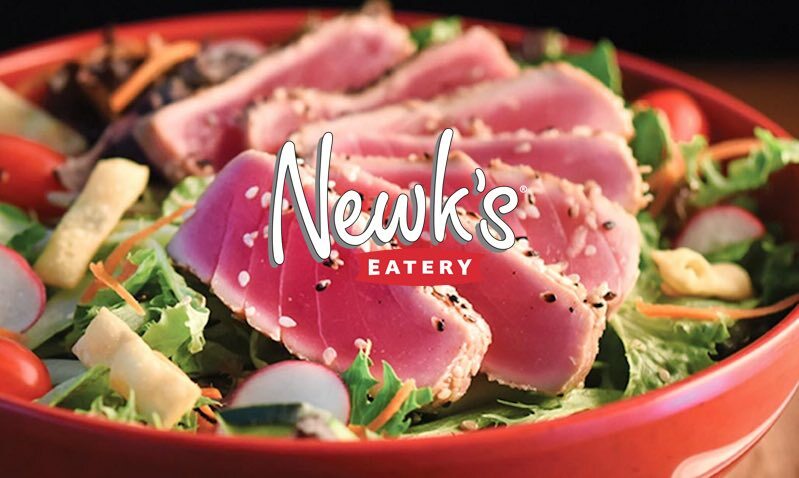 Newk’s Eatery was founded in 2004 by father and son chefs, Don and Chris Newcomb in Oxford, Mississippi. The restaurant was called Newk’s Express Café back in 2004. The food chain soon found success and become one of the fastest growing fast-food casual restaurants. The owners had the idea to use the family recipes for many of the main dishes and to reflect their personalities through the food. After a few months of growth and expansion, the company even survived the 2008 recession. Newk’s Eatery is continuing its long-term journey of growth. In 2013, the name Newk’s Eatery was introduced to the world. The business was bought by the Sentinel Capital partners in 2014. The new owners saw a great opportunity for growth in the food chain and implemented a plan for rapid growth. Today, Newk’s has over 150 locations in 14 of the states of the country. The company has announced to increase this number to 300 by the end of 2019. The company is currently headquartered in Jackson, Mississippi. Newk’s has announced their annual revenue to be about $141 million in the year 2014. If “Newks Menu” has some new updates do tell us and all the readers of this website.